Park West Gallery and Oakland County are seeking artists from around southeast Michigan to join the MI Great Artist online competition. Open entry runs from September 17 to October 9. More than $16,000 in cash and prizes are available to the winners, including the opportunity to have their work exhibited at Park West Gallery in Southfield, Michigan. This year’s MI Great Artist competition has expanded its boundaries to include artists from Wayne County. This means the contest is open to artists in the counties of Genesee, Lapeer, Livingston, Macomb, Oakland, Shiwassee, St. Clair and Wayne. Artists must be at least 18 years of age and reside, work or attend school in one of the counties listed above. 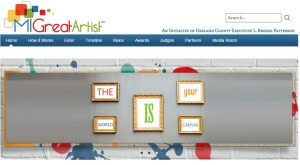 To enter, artists must submit images and descriptions of three to five original works of art to MIGreatArtist.com. Last year, 92 artists entered the contest. Oakland County Executive L. Brooks Patterson says this year’s competition has sweetened the pot by increasing the cash prizes to a total of $3,000. The public will determine the top 20 artists by visiting the MI Great Artist website and voting for their favorites from October 21-30. Following the votes, the panel of judges will have from November 2 to November 12 to decide on the top five finalists. “I and other judges are looking forward to reviewing the work and discovering more extraordinary Michigan artistic talent,” Scaglione says. Judges this year include: Scaglione, founder and CEO of Park West Gallery; Elliot Broom, Detroit Institute of Arts vice president of museum operations; Dominic Pangborn, artist and founder of Pangborn Design Collection; Kristie Everett Zamora, founding Editor of Prosper magazine in Oakland County; and Don Tocco, artist and founder of Tocco and Associates, Inc.
On November 13, the top finalists will be announced. The public is invited to view an exhibition of the five finalists at Park West Gallery from December 1 to January 8, 2016. 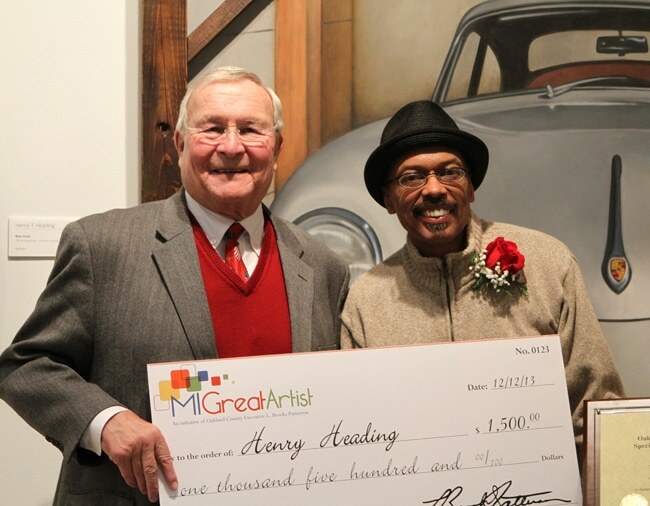 Oakland County Executive L. Brook Patterson presents 2014 MI Great Artist winner Henry Heading with a check. Contest winners and runners up have the opportunity for a multitude of prizes including expert framing, exhibitions of their artwork and small business classes. An award ceremony and reception will be held at Park West Gallery to announce the winner on December 8. 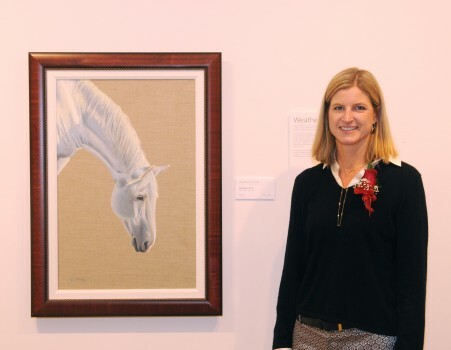 The 2014 MI Great Artist winner was Weatherly Stroh of Birmingham, whose representational style depicts beautiful animals and landscapes. Other partners of MI Great Artist include AdvantageOakland.com and Oakland County Prosper magazine. I represent an Artist in my state of Illinois (pop/contemporary) we are inquiring as to the criteria to qualify showing/auction on board the Cruise lines Park West Represents. I didn’t see another area to make a comment. 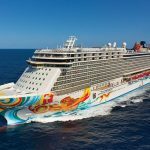 If you could respond or forward this request, I would appreciate your help!…we traveled to Europe with Royal Caribbean Line and loved your displayed pieces. Hi Lynn! We have passed along your request. Thank you for your interest!